Yehuda Joshua Glick (b. 1965) was born in Brooklyn to an Orthodox Jewish family which made aliyah to Israel when he was nine years old. After completing his rabbinical studies, Glick began working for the Israeli Ministry of Immigrant Absorption. In 2005, after some ten years, he quit the job to protest Israeli withdrawal from Gaza. He then served as executive director of The Temple Institute, an organization working to rebuild the Holy Temple in Jerusalem through peaceful means. Glick is most famous for his activism with regards to permitting Jews to ascend the Temple Mount. This area is the holiest site in the world for the Jewish people, yet entrance to it is severely limited for Jews, and prayer there is currently forbidden to all but Muslims. As chairman of the Temple Mount Heritage Foundation and leader of the HaLiba group, Glick has worked tirelessly to end this racist policy, and to open the Temple Mount for visitation and prayer to people of all faiths. He envisions rebuilding a temple – “a house of prayer for all nations” – next to the Dome of the Rock. For leading prayer groups to the Temple Mount, Glick has been arrested multiple times. In 2013, he went on a hunger strike to protest a ban that forbid him to go to the Temple Mount. After twelve days without food, Glick was permitted to return to the Mount. 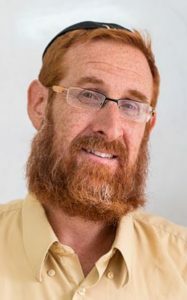 In 2014, after giving a speech at a Jerusalem conference, an Arab man approached Glick and shot him four times in the chest before driving off on a motorcycle. Glick underwent multiple surgeries, and was unable to communicate or breathe on his own for a couple of weeks. Amazingly, he survived the assassination attempt. Shortly after, he joined the Likud political party, and was placed 33rd on its list. The party won 30 seats, making Glick third in line to become a parliamentarian. Over the past year, three Likud MKs resigned, including Moshe Ya’alon earlier this month. This opened the door for Glick to enter Knesset, which he did two days ago. His calls for peace, prayer, and human rights are truly universal, as he has stood by not only Orthodox Jews, but also Christian groups and Reform Jews (including the Women of the Wall) who aim to pray freely at Jerusalem’s holy sites. He has also spoken frequently about ending the plight of the Palestinians, and bridging gaps between Jews and Muslims. In addition to his own six kids, Glick is the legal guardian of six more children, and two foster children. He has been compared to Gandhi, and described as “earthly, wise, thoughtful, nonviolent, and compassionate.” Last year, he was awarded the Moskowitz Prize for Zionism by the Jewish National Fund. This entry was posted in Law, Politics & Military, Religious Leaders and tagged Brooklyn, Dome of the Rock, Gandhi, Holy Temple, Israelis, Jerusalem, Jewish National Fund, Knesset, Member of Knesset, Moskowitz Prize, Orthodox Jews, Supreme Court, Temple Institute, Temple Mount, Zionism, Zionist on May 25, 2016 by Jew of the Week.